In biology the term “vitalism” is usually associated with Hans Driesch’s doctrine of the entelechy: entelechies were nonmaterial, bio-specific agents responsible for governing a few peculiar biological phenomena. Since vitalism defined as such violates metaphysical materialism (or physicalism), the received view refutes the doctrine of the entelechy as a metaphysical heresy. But in the early twentieth century, a different, non-metaphysical evaluation of vitalism was endorsed by some biologists and philosophers, which finally led to a logical refutation of the doctrine of the entelechy. 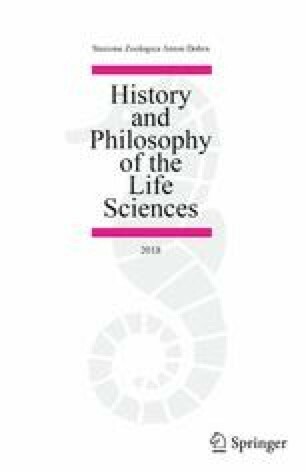 In this non-metaphysical evaluation, first, vitalism was not treated as a metaphysical heresy but a legitimate response to the inadequacy of mechanistic explanations in biology. Second, the refutation of vitalism was logically rather than metaphysically supported by contemporary biological knowledge. The entelechy was not a valid concept, because vitalists could neither formulate vital laws (to attribute determinate consequences to the entelechy), nor offer convincing examples of experimental indeterminism (to confirm the perpetual inadequacy of mechanistic explanations). I would like to thank Charles Wolfe and Philip Sloan very helpful suggestions on earlier drafts. Gratitude is also expressed to the editor and two anonymous reviewers for comments on the first submission. Thank China Scholarship Council for research fund (201608040017). Brigandt, I., & Love, A. (2017). Reductionism in biology. Stanford Encyclopedia of Philosophy. Accessed 20 April 2017. https://plato.stanford.edu/entries/reduction-biology/.